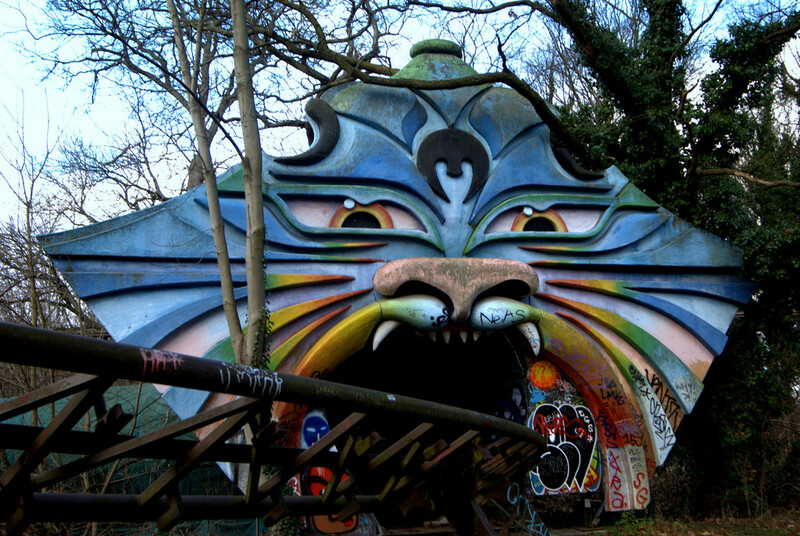 Spreepark was an entertainment park in the north of the Plänterwald in the Berlin district Treptow-Köpenick (formerly part of the GDR-controlled East Berlin). 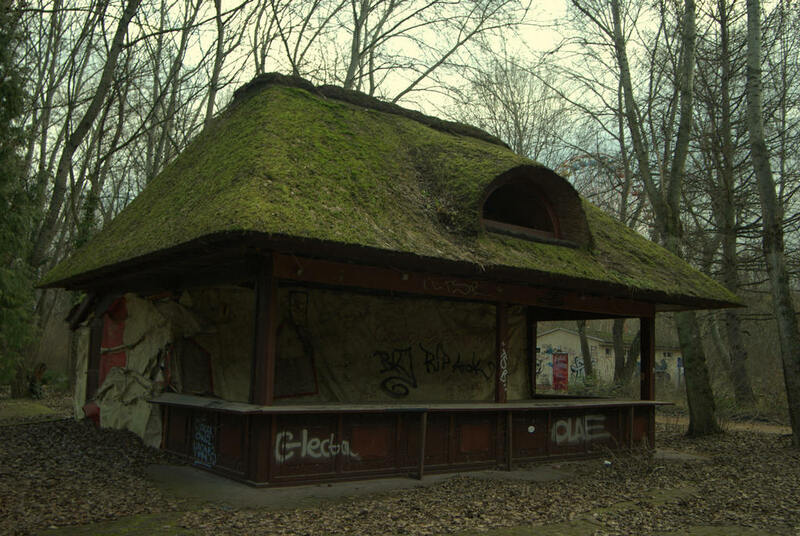 It was also well known by its earlier name Kulturpark Plänterwald. The entertainment park was opened in 1969 as Kulturpark Plänterwald, covering an area of 29.5 hectares. The area is situated in the north of the Plänterwald, next to the river Spree. It was the only constant entertainment park in the GDR, and the only such park in either East or West Berlin. The VEB Kulturpark Berlin was completed in 1991, after the reunification, by mixed municipal authorities in Berlin. 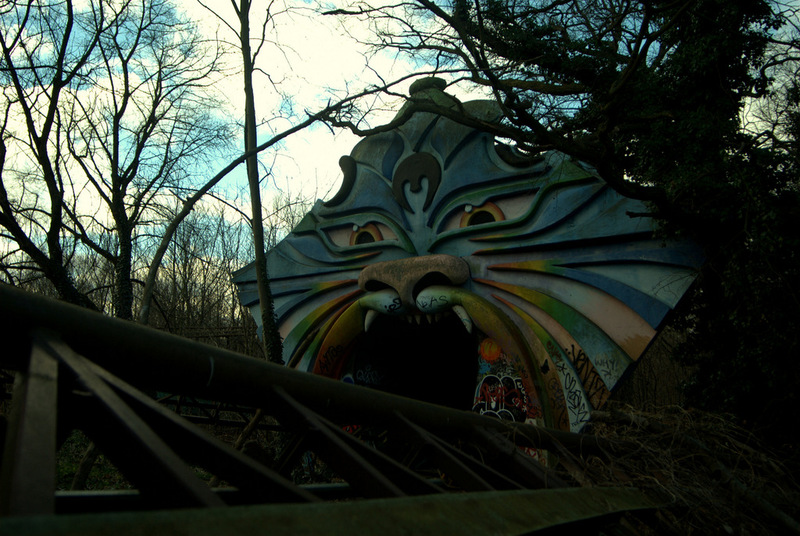 Out of a total of seven applicants, the Spreepark Berlin GmbHcompany received the contract. Crucially, the references of Norbert Witte of the company were not properly checked. 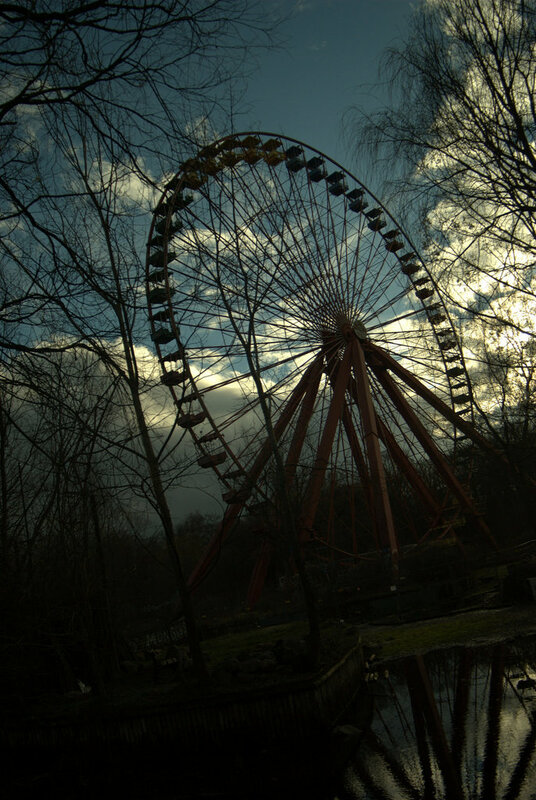 Under the Spreepark GmbH some new attractions were added and visitor numbers reached 1.5 million per annum. Later the concept was changed and the park was gradually transformed into a more Western-style amusement park. An entrance fee (adults: 29 DM, children: 27 DM) covering all individual attractions was now charged, instead of visitors paying for each individual ride, as had previously been the case. The asphalted surface around the Ferris wheel was taken up and converted into a water landscape. Roller coasters, two game water courses, a stage, a Western town and an English village were later added to the park. Since 2002 the park has not opened for visitors. 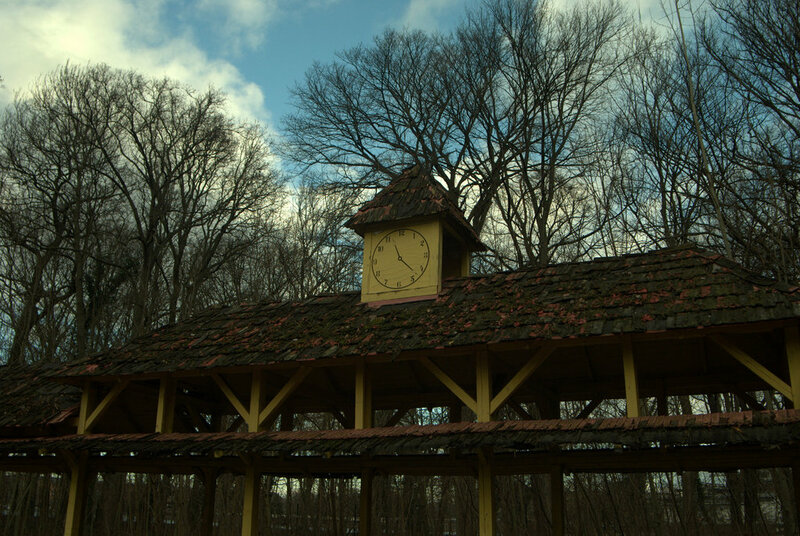 In August 2002 the park was declared completely insolvent. Debts at a level of €11,000,000 remained and the area was allowed to fall into disrepair. 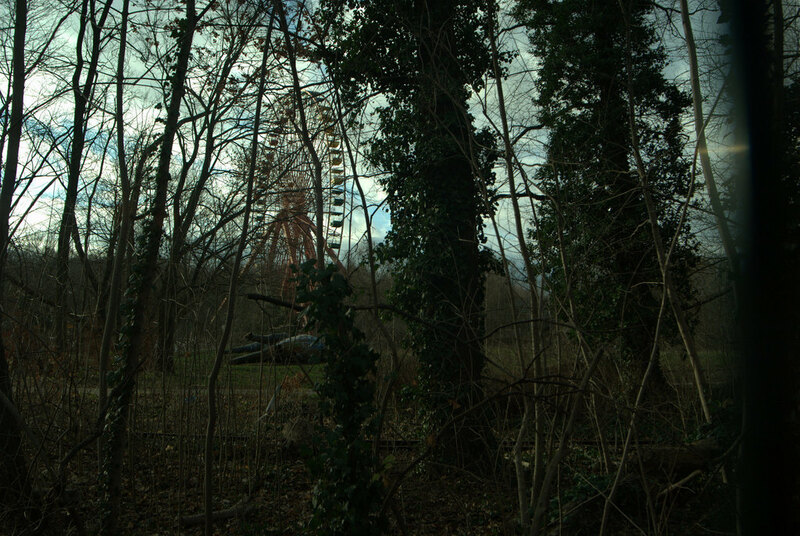 The Ferris wheel still stands, but has not operated since the park's closure, likewise, the remains of other attractions can still be found on-site. Norbert Witte failed in his attempt to run a "Lunapark" in Lima. On 19 May 2004 he was sentenced to seven years in jail for attempting to smuggle 180 kg of cocaine with a value of £14 million from Peru to Germany in the masts of the Fliegender Teppich (Flying Carpet) ride. In October 2006 a Peruvian court sentenced Wittes' son, Marcel Witte, to 20 years for drug smuggling. Upon arrival, to my dissapointment, the area had been secured with quite a large green steel fence. 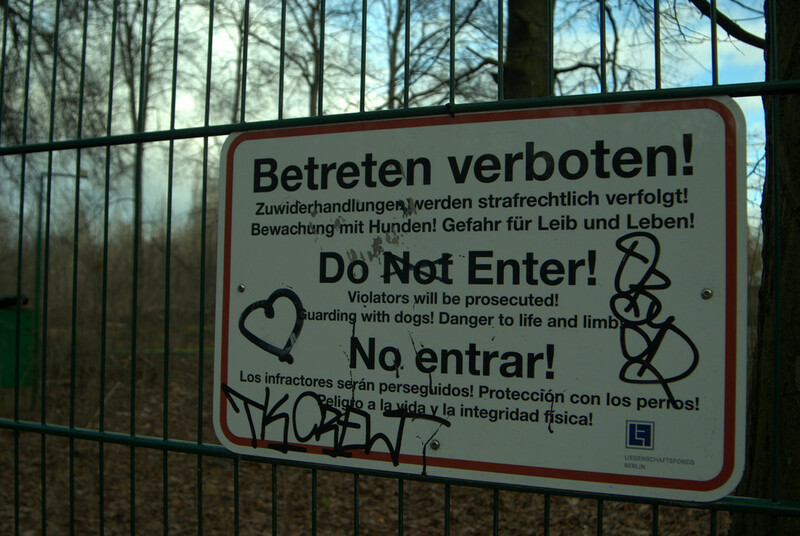 Attatched to this fence was a sign that read "DO NOT ENTER! Vialators will be prosecuted! Guarding with dogs! Danger to life and limb!" A little shaken by this sign, I proceeded. I followed the fence around, looking for a gap. Surrounding the park was a footpath where there were many dog walkers, runners and couples. After having followed the path around for about 20 minutes I came across a large gap that looked like it had been dug under the fence. Not knowing quite how the general public would react to me climbing under the fence in front of them, I sat down on a fallen tree across the path from the gap, with the gap in my sights and waited. Two elderly German men spotted the gap under the fence, and had stopped to inspect it. I could tell from their gesticulations that they wanted to get in. I don't speak much German, but I could imagine them saying "We could get in there you know"
The two elderly Germans passed and I had my chance. The coast was clear. I sprinted for the fence Colditz-Style and pulled myself under. With the thought of Where Eagles Dare-style German Shepherd dogs tearing me limb from limb, I moved quickly. That was a good read. Seen this one before in other reports, but I found your own story very amusing. A few more photos would have been welcome, but enjoyed the ones you did included.